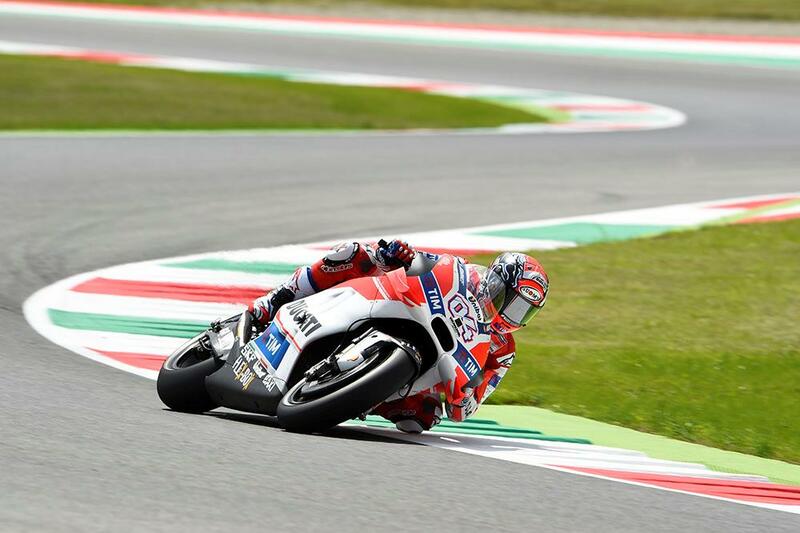 Andrea Dovizioso has spent the opening sessions of his home MotoGP race at Mugello hindered by an old injury, after tweaking the same part of his neck that he injured back in his 250GP days. Occasionally flaring up since 2005, he says he first noticed the pain pulling on his helmet for yesterday’s opening session. Suffering for the whole day, he eventually finished the day in twelfth, a long way off his provisional pole teammate Andrea Iannone. “Unfortunately I had a problem with my neck that prevented me from moving my head back so I was forced to ride in an unnatural position on the bike. The Italian also debuted a special edition Suomy helmet for the weekend in this morning’s FP3 session, celebrating both his and the team’s home race.